Diameter of male coax terminal? This may seem an odd question, but what is the maximum diameter of the male plug at the end of the coax cable? I have a fork that provides internal routing of the hub-to-lamp lead. I'd like to know if I can get away with not having to solder the plug after threading the line. Thanks. The coaxial cable on the male plug at its widest point has a diameter of 6.51mm, we hope this helps. I have a SON deluxe disc hub. 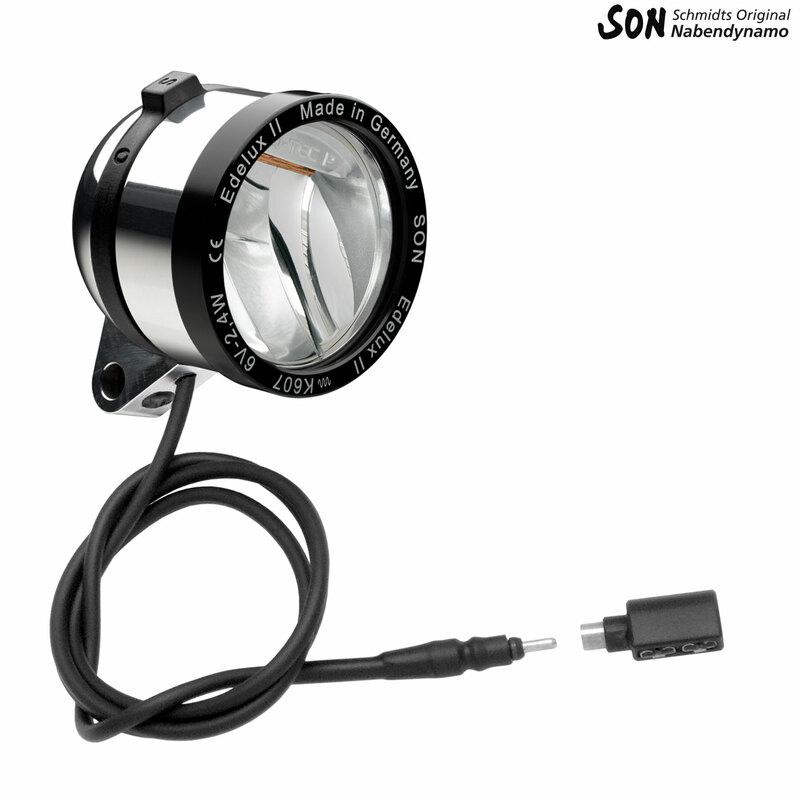 I want to set it up with the edelux front light but want to be able to charge my gps when not using the light. What would I need to set this up or should I consider a different light with a usb output? Thanks. We would recommend using a SON 28 hub, the delux is the lighter weight hub designed for lighting and not so much for charging.